Hot Pink Rock Star Hair Bow! All the girls will want this black grosgrain bow that has a hot pink satin "Rock Star" bow on top. 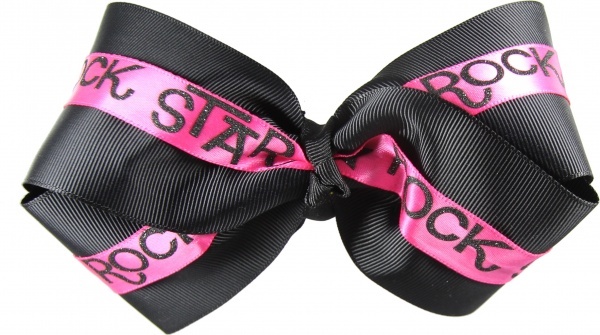 There is also black stars after the words "Rock Star" which line this pink bow. Rock on with your rock star bow!